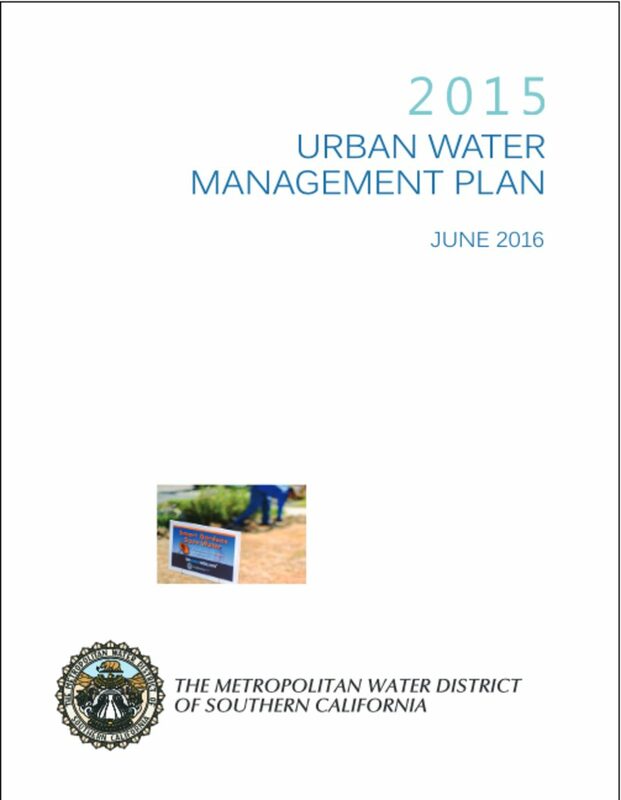 Metropolitan’s 2015 Urban Water Management Plan (UWMP) has been prepared in compliance with Water Code Section 10608.36 of SB X7-7, which was enacted in 2009, and Sections 10610 through 10656 of the Urban Water Management Planning Act (Act), which were added by Statute 1983, Chapter 1009, and became effective on January 1, 1984. This Act requires that every urban water supplier providing water for municipal purposes to more than 3,000 customers or supplying more than 3,000 acre-feet of water annually prepare and adopt, in accordance with prescribed requirements, an urban water management plan. The Act requires urban water suppliers to describe and evaluate sources of water supply, efficient uses of water, demand management measures, implementation strategy and schedule, and other relevant information and programs. Urban water suppliers are required by the Act to update their UWMP and submit a complete plan to the California Department of Water Resources (DWR) every five years. An UWMP is required in order for a water supplier to be eligible for DWR administered state grants and loans and drought assistance. As with Metropolitan’s previous plans, the 2015 UWMP does not explicitly discuss specific activities undertaken by its member agencies unless they relate to one of Metropolitan’s water demand or supply management programs. Presumably, each member agency will discuss these activities in its UWMP. The information included in the 2015 UWMP represents the most current and available planning projections of supply capability and demand developed through a collaborative process with the member agencies. Metropolitan’s Board recently adopted the 2015 Integrated Water Resources Plan, Water Tomorrow (2015 IRP Update), which represents Metropolitan’s comprehensive planning process and will serve as Metropolitan’s blueprint for long-term water reliability, including key supply development and water use efficiency goals. How water is apportioned to California’s cities, farms, and the environment can lead to conflict and competition in times of drought. 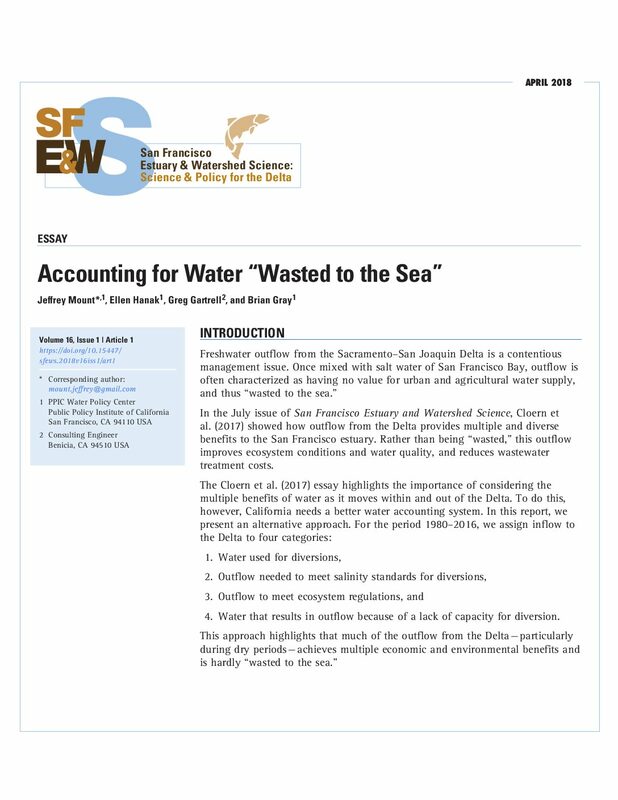 Allocation of water to the environment in particular is poorly accounted for and poorly understood—shortcomings that can affect water policy, decision making, and public perception. 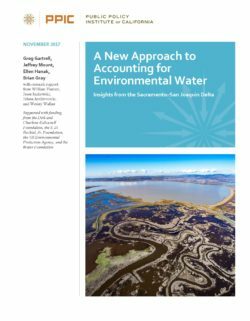 This report reviews the state’s long-standing methods for defining and accounting for environmental water and proposes reforms to improve the timeliness, transparency, and detail in the accounting of environmental water allocation. California’s draft Bay Delta Conservation Plan—a draft plan to conserve habitat for endangered and threatened species, while continuing to divert water to agriculture and domestic water users in central and southern California—is incomplete and contains critical scientific gaps. The Bay Delta is a large, complex ecosystem that supplies water from the state’s wetter northern regions to the drier southern regions, and also serves as habitat for many species. 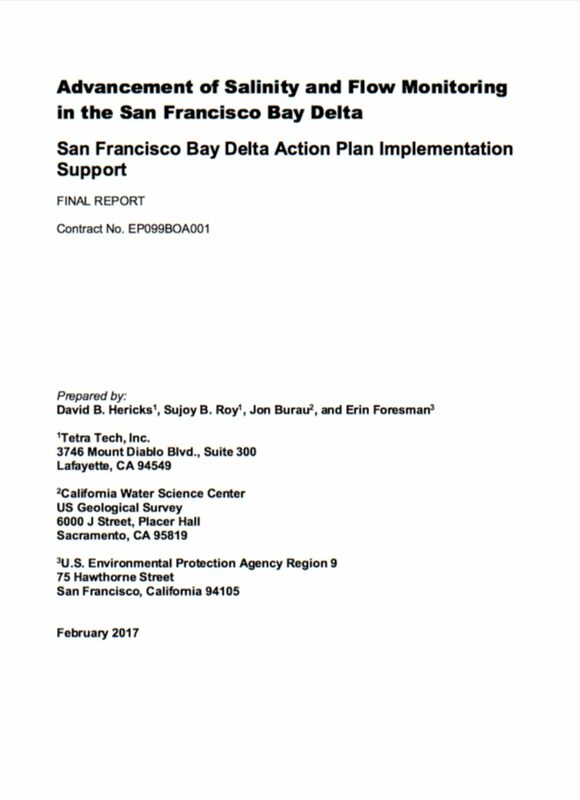 The Bay Delta Conservation Plan describes a proposal to construct a tunnel or canal to divert water from the northern Delta to the south, thus reducing the need to convey water through the Delta. 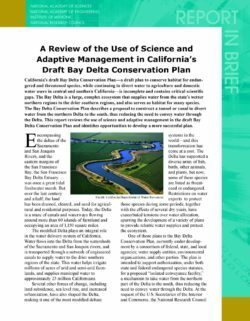 This report reviews the use of science and adaptive management in the draft Bay Delta Conservation Plan and identifies opportunities to develop a more successful plan. California’s drought is dire, and has focused legislative and public attention on the enormity of the state’s water problems. As noted in earlier Environmental Water Caucus (EWC) reports, California already was in a state of crisis prior to the current drought. Four years of minimal precipitation have only worsened our situation. Our most pressing problems include: the over allocation of surface water by a factor of at least five, leading to supply unreliability for many users and what is referred to as “paper water;” degraded ecosystems and fisheries; and overexploitation of groundwater supplies. All these issues are exacerbated by ongoing climate change and population growth. The current drought has caused significant new legislation and rules for the state’s water supplies. These are positive developments, and could lead to new approaches for water use; however, too many of these “solutions” are predicated on the false assumption that current drought conditions are temporary. Thirty percent of recent years can be classified as drought years, and multiple drought years are common. According to DWR, 40 of the last 100 years have been drought or multiple drought years. We must consider our water in new ways. We must acknowledge that California is a drought-prone state, that water is and will be limited, and that every citizen, farmer and commercial enterprise must consume water responsibly, rationally, and in line with available supplies. Unfortunately, many of the plans and actions proposed by our public agencies are based on a fantasy of ever-increasing supply. They demonstrate a bizarre and potentially catastrophic unwillingness to align demand and water contracts with actual supplies and a total disregard for economically disadvantaged communities, fish, and wildlife. Further, state officials are exploiting the current drought to justify a tired and bankrupt ideology that promotes more dams, tunnels, and infrastructure as a solution to water shortfalls. Most egregiously, they avoid any objective analysis of the true costs and benefits of additional surface storage or the proposed “Twin Tunnels” trans-Delta project. The Governor’s Water Action Plan and the recently authorized Water Bond continue the destructive and ultimately unsustainable momentum toward more surface storage and delivery infrastructure while not creating any new water supplies. We must recognize that the state’s largest water user – irrigated agriculture – uses 80% of the state’s developed water supply and contributes less than 2% to the states’ economy and payroll, and adjust water practices and priorities accordingly. The continuous planting of permanent crops south of the Delta, where water supply is not reliable and water rights are junior, does not meet the “reasonable use” criteria called for in the California Constitution. Most of the state’s plans will not reduce water demand or increase supplies. Rather, they pointedly ignore two practices that will augment supplies dramatically: water conservation and recycling. Further, following any brief respite to the drought, there is the omnipresent danger that the state will revert to the “endless supply” mindset that has characterized California water policy for decades. Since 2009 the Environmental Water Caucus has proposed an approach to our limited water supplies that is efficient, cost-effective and equitable. It will carry us sustainably into the future, and it addresses the deficiencies described above. 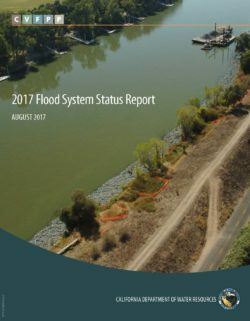 Unlike our state bureaucracies, we are not simply trying to squeak through the drought; we are advocating for a wholly different management regime. 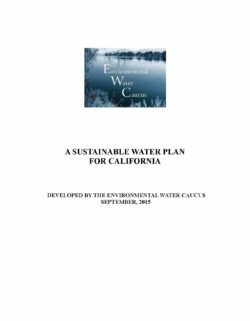 The EWC plan was proposed prior to the current drought, but it addresses the extant crisis and any future period characterized by water shortages. As stressful as it is for ratepayers, farmers and businesses, the current drought enables reform. More to the point, it demands it. Our public officials must recognize this opportunity, and seize it. 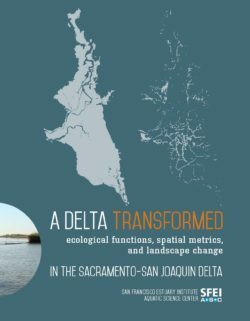 The Sacramento-San Joaquin Delta (Delta) is a biodiverse ecosystem that covers about 1,150 square miles and supports over 700 species of fish and wildlife. The Delta is an important source of water for the state and is used to convey water from Northern California to Southern California. 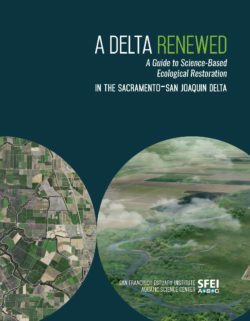 The Delta faces several significant problems, including: (1) a decline in key native fish species, (2) reductions in the amount of Delta water available for use elsewhere, (3) water pollutants that cause harm to species and increase treatment costs, and (4) levees at significant risk of failure. The state has engaged in numerous efforts to address these problems and achieve its "coequal goals" for the Delta: water supply reliability and ecosystem restoration. There are many opportunities for the Legislature to improve the success of these efforts. We identified several issues for its consideration, including (1) demands for Delta water, (2) uncertain funding sources and slow implementation of some key activities, (3) limits on the effectiveness of governance in the Delta, and (4) challenges to restoring the Delta ecosystem. 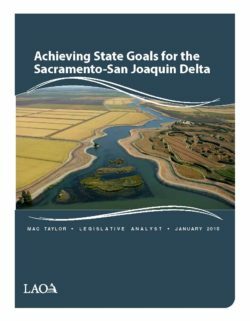 By addressing some of these issues, the Legislature can improve the likelihood that its goals and objectives for the Delta will be realized.